The PLV 45 with air conductor is the larger embodiment of the PLV 40, this type of fan is 5 cm larger in diameter, and provided with an air conductor. 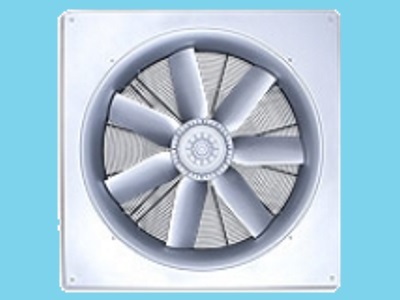 Because of the applied plastic air duct, the fan creates an improved combination of the throw. Making the airflow and air speed greater over a bigger distance. Because of these specifications you get a maximal capacity on a low energy consumption.